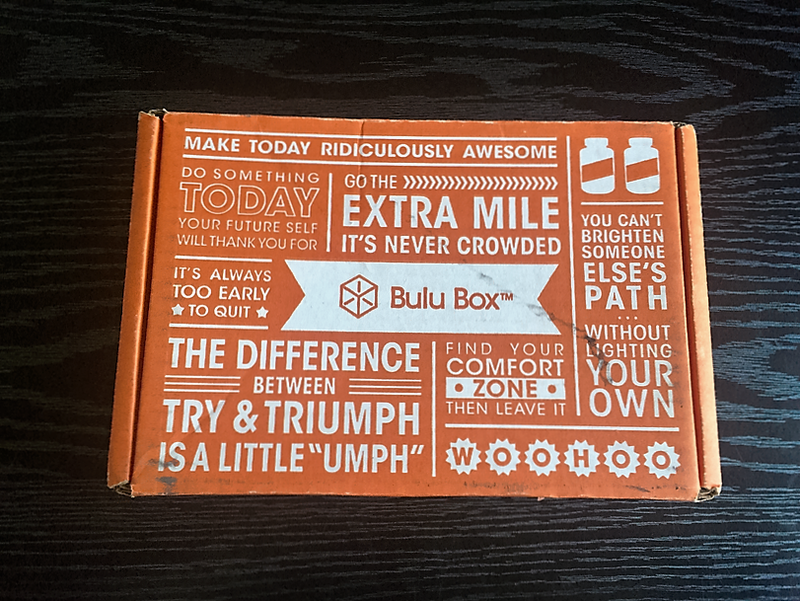 This review is for the Bulu Box Original option. 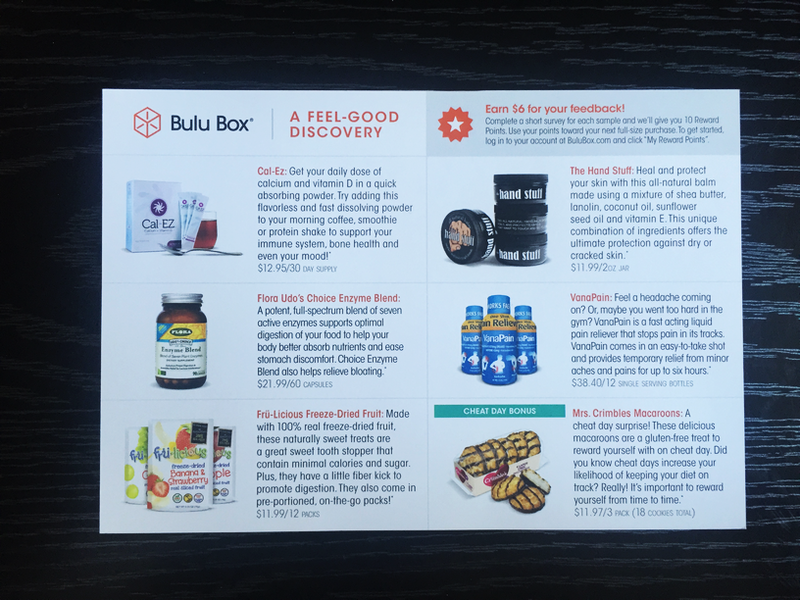 Information card with product details inside each box. 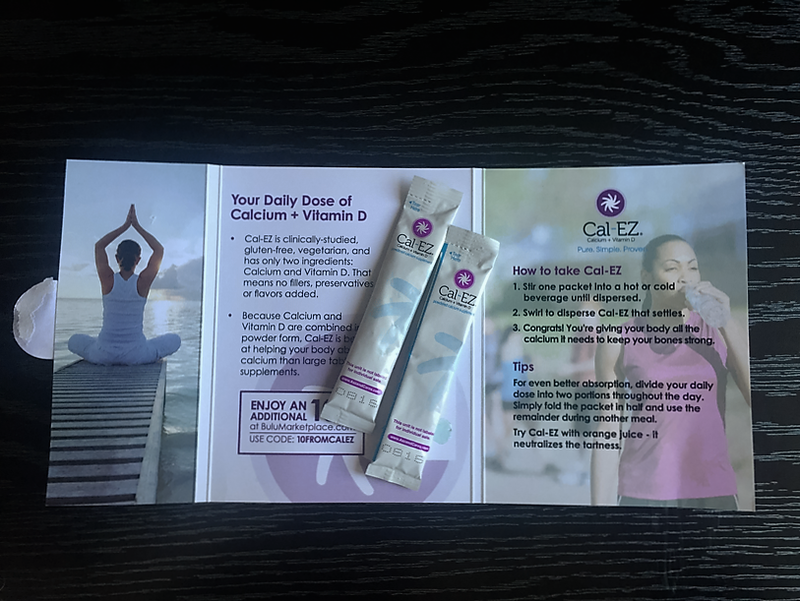 This sample of Cal-EZ is for a powder mix that contains a daily dose of calcium and vitamin D. The powder itself is flavorless and can be mixed in to nearly anything from smoothies to mashed potatoes. There were two pouches in my sample pack. I have actually been looking for a calcium supplement since I am currently pregnant, so it was a happy surprise to get this sample this month. 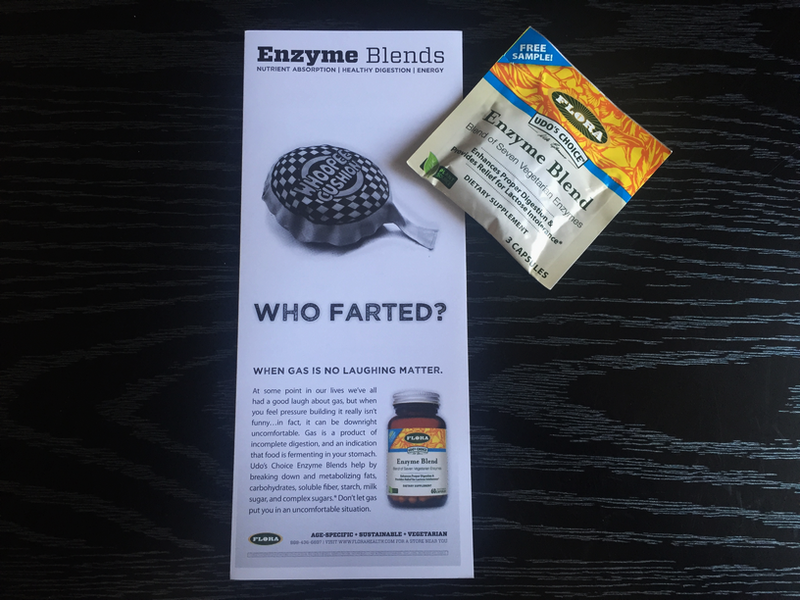 Also if you go directly to their website at Cal-EZ you can request a free sample to try for yourself. This is a sample for Flora Health’s all-purpose digestive enzyme capsules. Each capsule contains 7 active enzymes that are designed to maximize digestion and absorption of all foods. I was super excited to see this sample in my box. 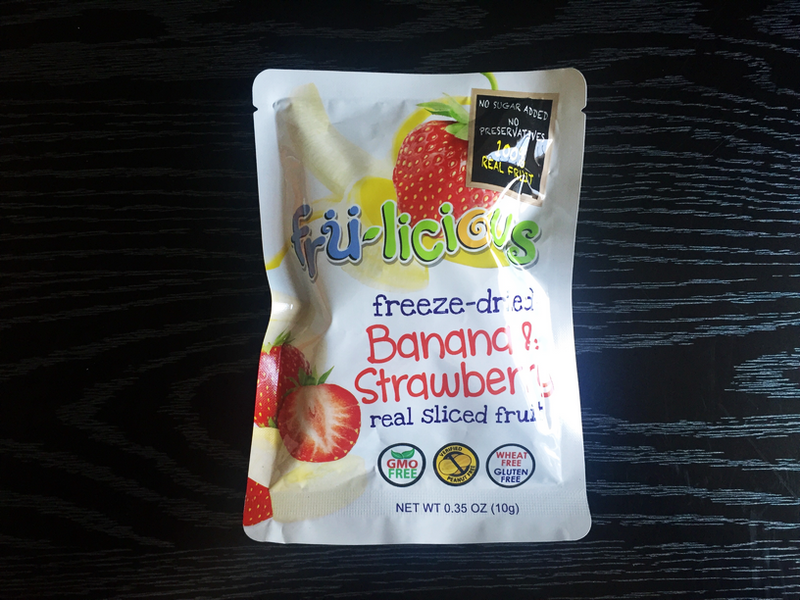 I really like this brand and the Banana & Strawberry is one of my favorite flavors. It’s the perfect sweetness and reminds me of a cereal topping. Actually this would be pretty good as a cereal or yogurt topping. 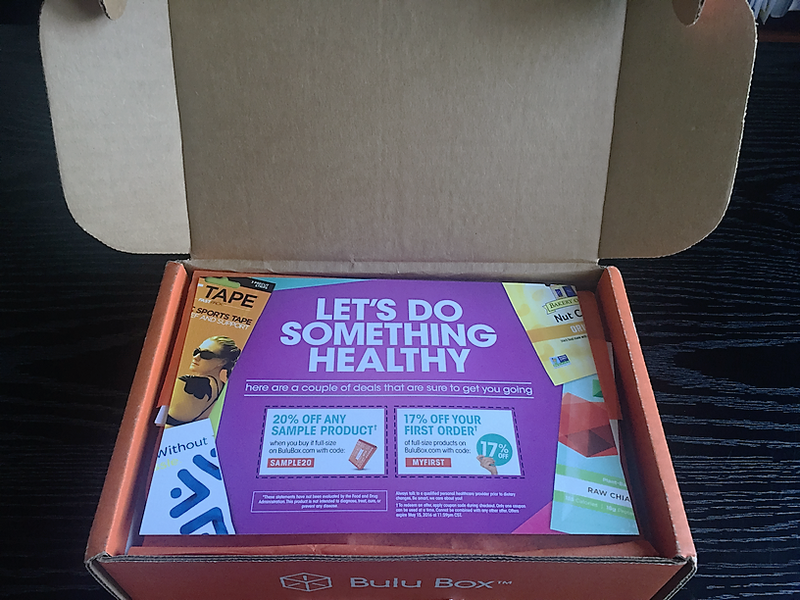 Check out my review of March’s Bulu Box when I got to try their Grape flavor. This sample is for an all natural hand balm. 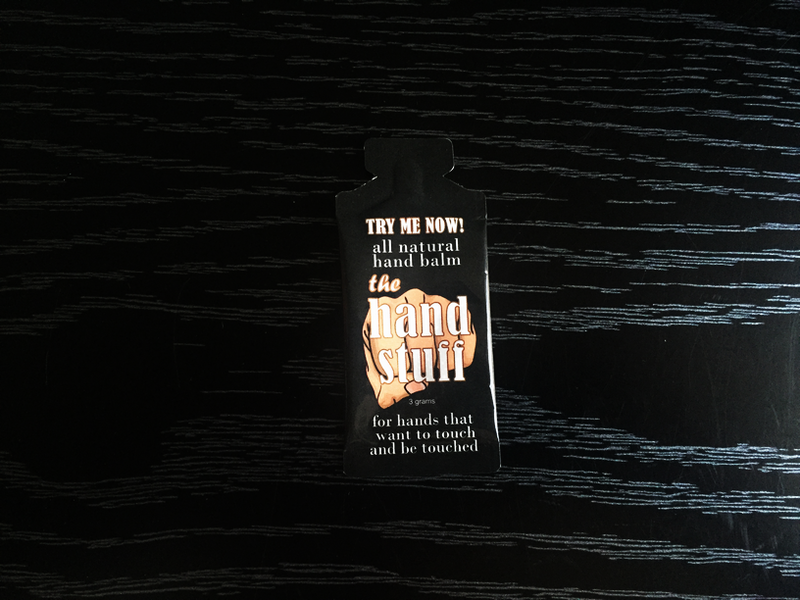 It’s pretty thick and designed to soothe and heal hands that are dry and chapped. They list their key ingredients as shea butter, coconut oil, lanolin, sunflower seed oil and vitamin E. I like this product but I think it is a bit too pricey for me considering my hands are not that damaged and regular lotion works just fine. 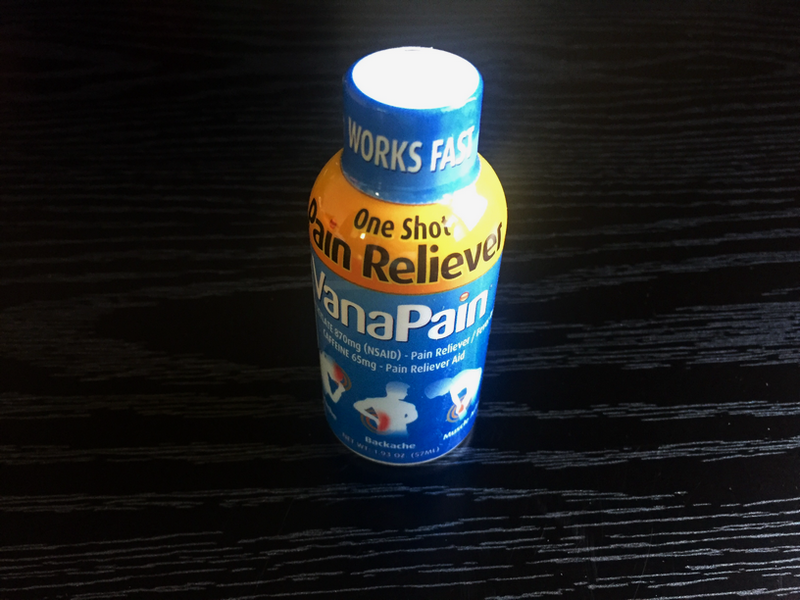 This sample from VanaPain is for a fast acting pain relief liquid. It is designed to provide temporary pain relief for up to six hours with one single dose bottle. The types of pain they mention getting relief from are headaches, backaches, muscle aches, menstrual cramps, and minor arthritis pain. The active ingredients are caffeine and choline salicylate. 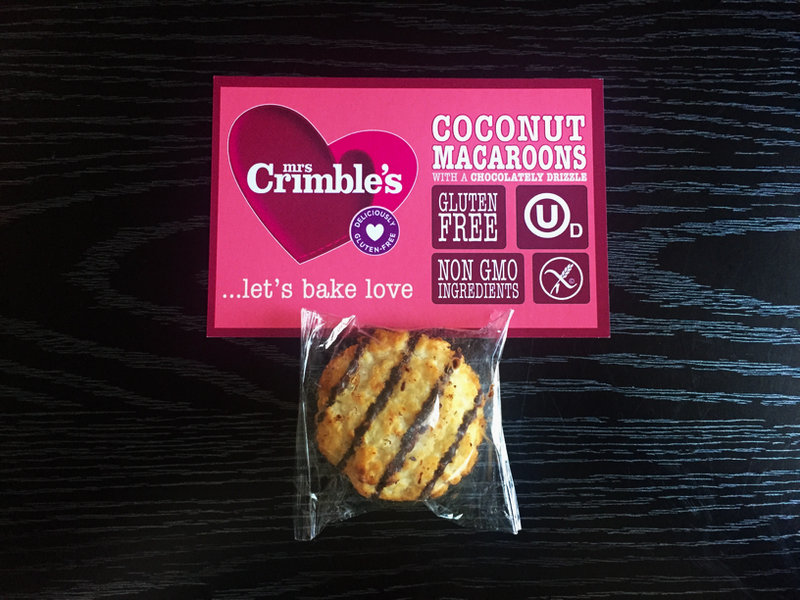 Mrs. Crimble’s is a food company focused on making great tasting gluten free products. Apparently the company has been around since 1979 and began in the London area. Obviously they have expanded quite a bit since then and are available at number of stores both on and offline. My cookie sample flavor is coconut macaroon with a chocolately drizzle, and it is amazing! The inside is soft sweet coconut goodness and the outside is slightly toasted with chocolate. I will definitely be ordering more of these. Verdict: Total estimated value of box $7.47. This happens to be my favorite Bulu Box so far. I found the items in this box both useful and yummy. As for the total value of the box, I believe this month they fell short. I like to see the value of the contents be more than the cost of the monthly box, which is $10. One or two more samples thrown in would have been nice, but still overall this was a really good box.